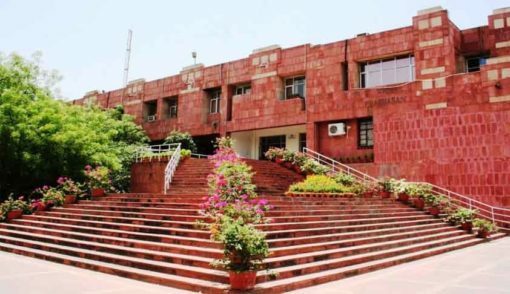 The Delhi High Court has stayed the resolution of the Executive Committee of Jawaharlal Nehru University (JNU) which had barred elected students from attending meetings of various bodies of their Schools/Centres. In doing so, Justice Yogesh Khanna opined that the University cannot allege breach of Lyngdoh Committee Recommendations (LCR) after the elections. The matter of nullification of the elections in the event of non-compliance with the recommendations has now been referred to the Grievance Redressal Committee (GRC). The petitioner students had challenged the resolution which had stated that the election was not notified since JNU Student Union failed to submit audited accounts of their election expenditure within two weeks after the declaration of the results pursuant to clause 6.6.2 of the LCR. The petitioners had contended that a combined statement of expenditure incurred by the 19 elected students was submitted in the same format in which the accounts where submitted since the inception and implementation of LCR in 2012. They further asserted that the Dean of Students sought GST bills for the expenditure incurred for elections—a demand that they alleged showed manifest divergence from the practice in any of the previous years. The respondent University, on the other hand, contended that the petitioners failed to comply with clause 6.6.2 of the LCR, despite repeated demands to comply with said clause and even failed to approach the Grievance Cell. Justice Khanna, however, observed that the recommendations revealed that the Supreme Court never asked for audited accounts and rather required filing of certified accounts, which in fact were submitted in the same manner as were being submitted since the year 2012. "Neither the university ever demanded original bills since 2012 nor those be of GST compliances, but allegedly demanded it for the first time in 2018-19 and that too after the results were declared. Now if the University was to change its past practice it ought to have put the students to advance notice qua their duty to file separate accounts, submit original Bills, with GST no. etc. Prima facie, after the elections the University cannot, allege breach of Lyngdoh recommendations. None of the letters relied upon by the University were addressed to contesting candidates," the Court then noted. The court further held that the GRC is the appropriate forum to decide on the issue of election expenses and thus the Executive Council cannot pass such resolutions restraining elected members from attending various meetings without referring the matter to the GRC. Accordingly, the court directed the GRC to take up the matter and decide it in accordance with the LCR. In the meantime, the impugned resolution was placed in abeyance.